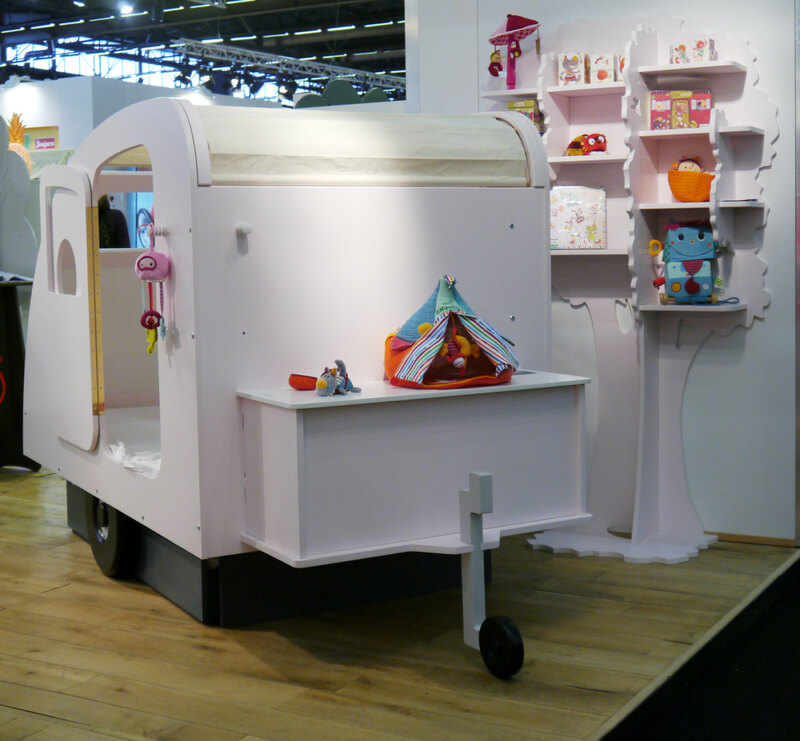 This funky kid’s bed was designed to mimic a caravan, and we secretly wish they also made it in adult sizes! 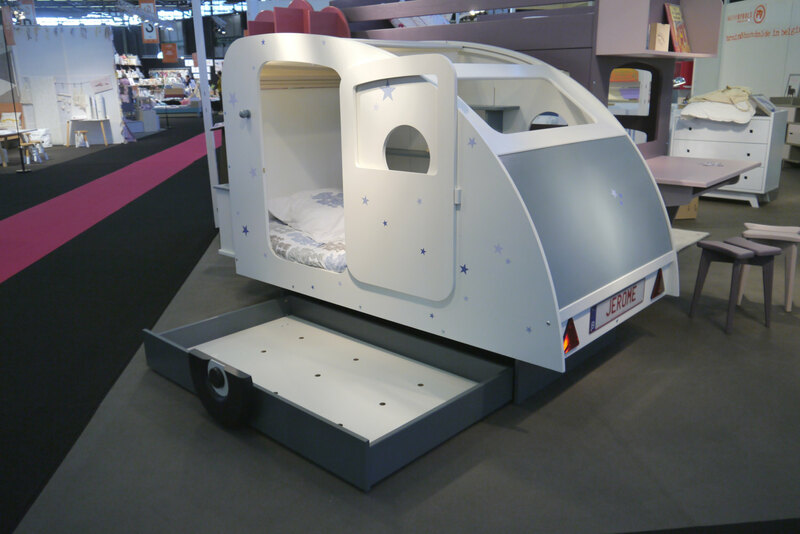 Not only is it cozy and playful, but it’s also super functional and equipped to handle even the most rugged camper. The bed is packed full of hidden storage space including the helm as the perfect home for toys stuffed animals or blankets. Plus the base of the bed double as a full-sized pull-out drawer. 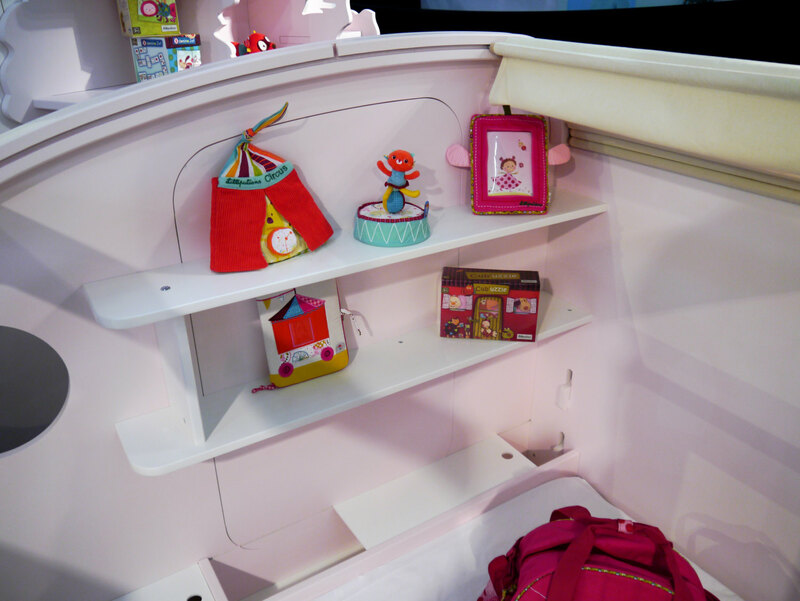 There are two shelves located inside the camper to act as a handy bedside table. 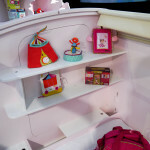 The unit also comes complete with two hooks on the exterior perfect for hanging clothing or backpacks. 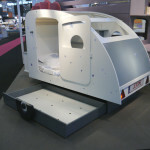 The top of the camper is made from strong textiles and designed to be either open or closed, and the door can be place on either the right or left side depending on the needs of the space. Additionally there’s a cool little license place on the back that can be personalized with your little tykes name or favorite word. 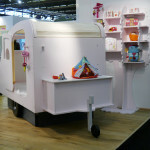 The bed was designed by François Lamazerolles for MathybyBol, a European company specializing in children’s furniture. First established in 1987, MarhybyBol continues to make products in line with their core values of “creativity, versatility and flexibility,” and their products and manufacturing processes reflect their commitment to sustainable practices and minimal environmental impact.